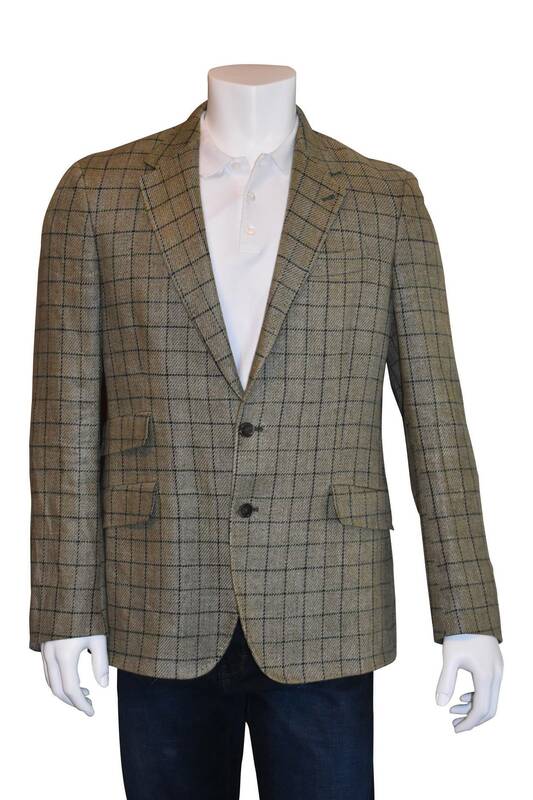 Paul Smith Byard sage green linen and cotton blend sport jacket with dark navy windowpane pattern. 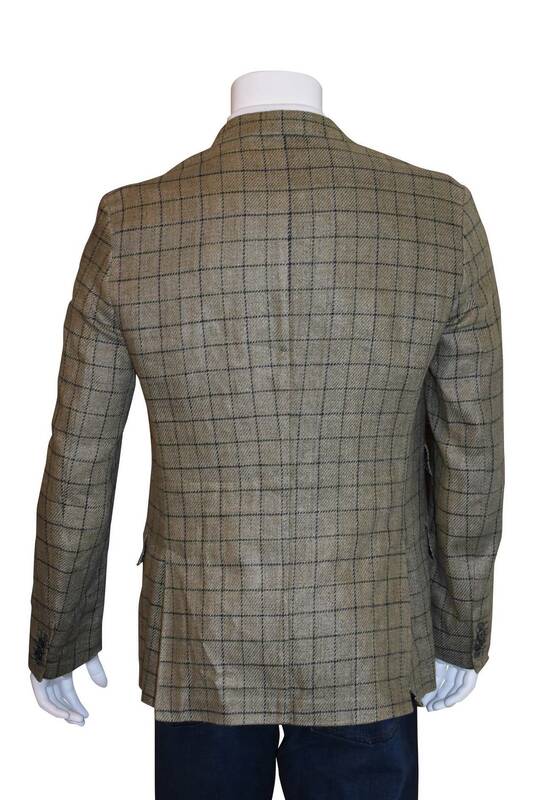 Notched lapels, one single breast pocket and two hacking pockets with ticket pocket. Three interior pockets and center vent to back. Two button front closure. Partially lined.